It looks like Google is working on spring cleaning a little early this year. After removing the remaining Huawei Watch models from the Google Store earlier today, all of Fossil's Android Wear watches are now gone. 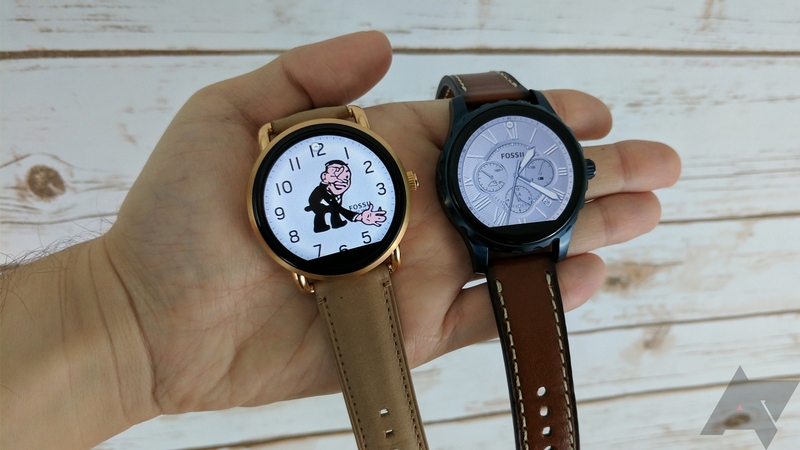 The company's lineup includes the Fossil Q Founder, Q Marshal, and Q Wonder. The Q Founder was released near the end of 2015, and wasn't incredibly well-received. In October 2016, Fossil followed up with the Q Marshal and Q Wander, which both dropped the Q Founder's Intel chip for a Snapdragon SoC. However, both still failed to impress in our review. If you desperately need to buy any of these watches, you still can. The Q Founder, Q Marshal, and Q Wonder are all still available from Fossil's website. But honestly, at this point you should wait for Android Wear 2.0.